Embracing the modern aesthetic is all about being adventurous. Creativity is truly the heart of the most alluring modern home designs. When looking at a modern space, we are intrigued by the details that surprise, those that the most unique. 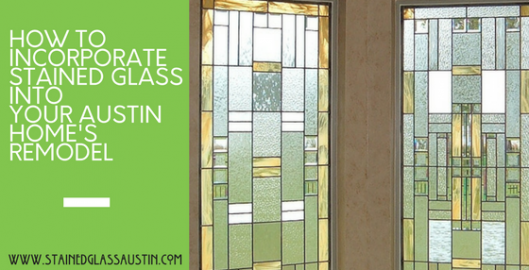 That’s what makes stained glass windows perfect for modern Austin homes. Mixing contemporary styles with vintage pieces can create a look that’s captivating. 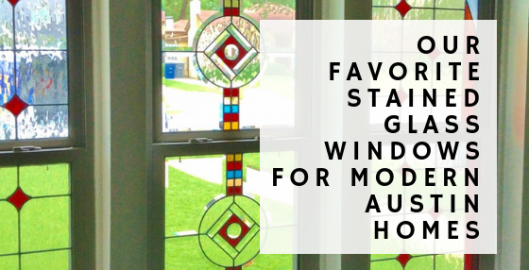 Most cookie-cutter homes today do not feature styles from the 12th century and the 21st century in the same room, but with stained glass, this is possible. Adding a colorful, vintage looking stained glass window to a room that is comprised of primarily white walls and neutral furnishings can create a unique, artistic effect. This type of out-of-the-box thinking has been practiced by interior designers for decades. 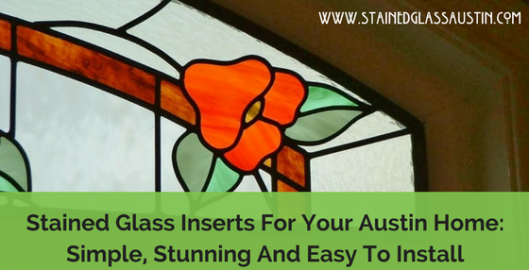 By adding stained glass to your kitchen, bathroom, or entryway, you can create a gorgeous, custom look for your home that’s entirely your own.